The omnipresent social media platform, Facebook, has gradually evolved to become one of the best channels to reach out to an audience and promote your business. Lead ads is the simplest way to run lead generation campaigns on Facebook and Instagram. 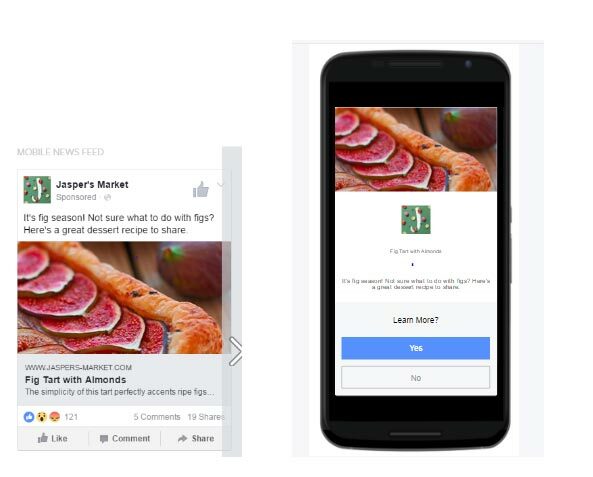 Through Lead ads, people show their interest in a product or service by filling out a form in the ad, with their details (pre-existing on Facebook) and allow a business to follow up with them. Lead ads can be used to collect sign-ups for newsletters, price estimates, follow-up calls and business information, making them a great way to identify potential customers and share relevant information with them in the future. 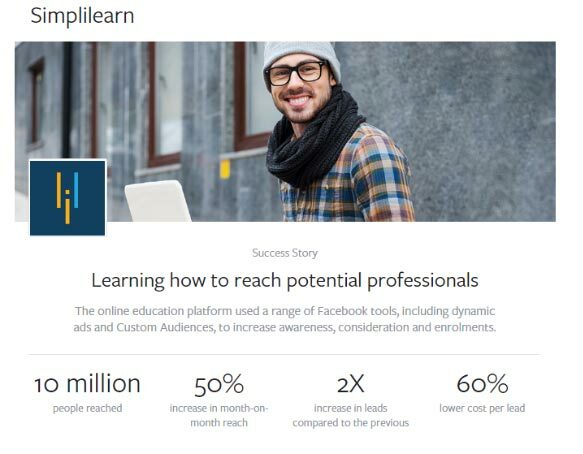 According to Facebook, with Lead Ads, cost-per-like (CPL) can drop by 4x. Understanding what you spend on an advert versus what you get is quite possibly the most important part of running any advertising campaign. However, to do this successfully, you need to understand how Facebook measures ad conversions, or else you may lose both money and sales. Google Analytics has up to 7 models but Facebook keeps it simple by using one model: The Last-Touch Attribution Model. A lookalike audience is a targeting method where Facebook generates an audience of users who are similar in some way to your current customers or audience. This audience can be based on an email list, segments of your Facebook Pixel or any conversion goals that you have set up. Facebook matches the audience with Facebook profiles and finds similarities in demographics, interests or behaviours. It then uses these finding to generate a list of similar Facebook users that you can target in your campaigns. At some point in time, a friend might have told you about the top she found online that followed her all around the internet. “It is so weird. I saw them on Facebook thrice in the last two weeks so I was compelled to order it. It must’ve been fate,” she may have said. Remarketing works by following the same leads around the web with related offers. When a user visits your website, a code is placed on the page that the user visits, and the user is cookied. This triggers the ads to follow that cookied user around the web, whether on a social media site or on various websites across the internet. According to Facebook, remarketing ads get 3X the engagement than regular Facebook ads! 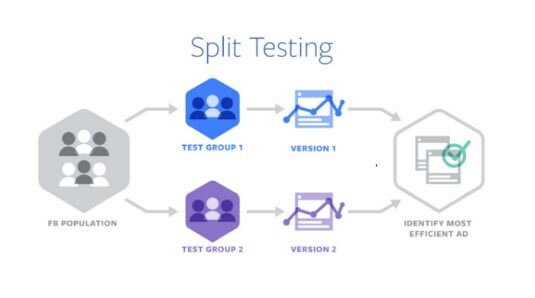 Split Testing is another form of A/B Testing that allows advertisers to create multiple creatives for an ad set and test them against each other to see what strategies produce the best results. For example, Split Testing allows advertisers to easily test the same ad on two different sets of audience to see which audience selection responds better. Or, to test two delivery optimizations, such as conversions or link clicks, to determine which yields the better result. Advertisers use Split Testing to interpret how changes in different variables might yield a better outcome. 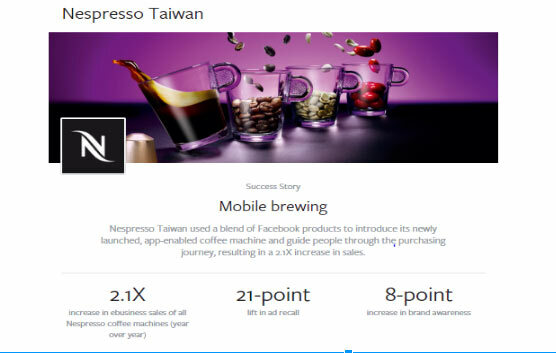 Facebook Website Conversion campaigns help to increase business on your website. Whether you need page visits, sales or any other action, website conversion adverts attract people to go the website, to just view or do any transaction. Website conversion adverts work along with the Facebook pixel on your website, so that you can reach website visitors who are most likely to take desired actions. This enables the business to grow sales and increase traffic. Under Behavioural Targeting, there are various options such as Digital Activities, Seasonal Behaviour, Travel, Purchase Behaviour, etc. The brilliance of Facebook adverts lies in its ability to target audience with laser-like precision, thus saving on money but increasing sales. 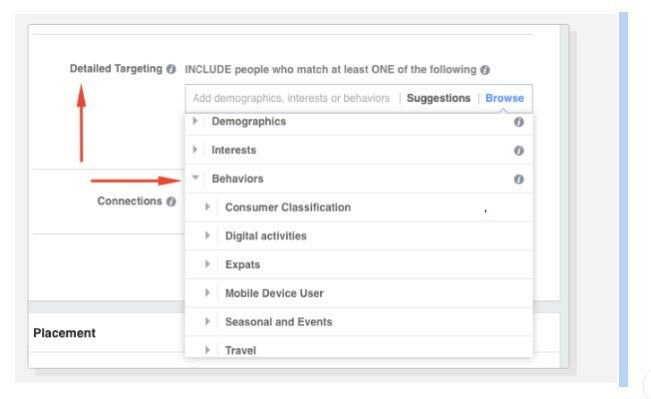 Facebook breaks down your ad preferences into several categories: Business and Industry, Education, Family and Relationships, Fitness and Wellness, Food and Drink, Hobbies and Activities, Lifestyle and Culture, News and Entertainment, People etc. 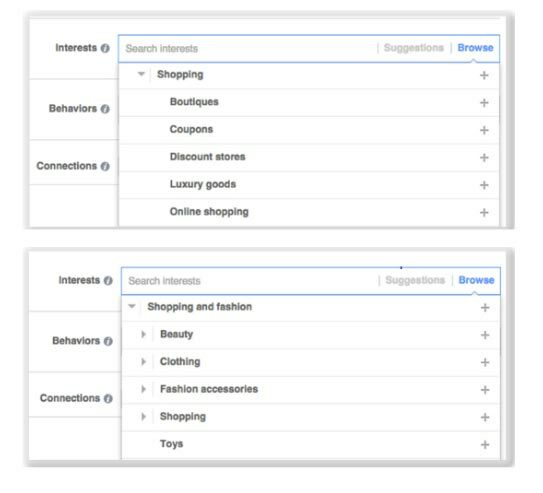 When you add or remove interests, Facebook recommends a set of audience based on the interests available in the page. 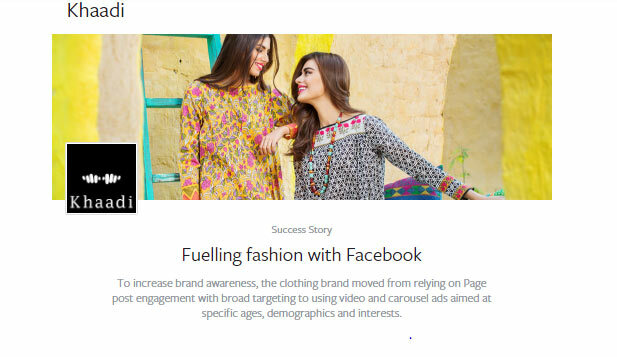 This ensures the ad is not shown to an irrelevant audience and focuses on finding new fans, engaging with a wider pool of Facebook users, recruiting brand evangelists and increasing conversion rates. However, one of the biggest benefits that is still being discovered by many advertisers is how precise interest targeting can complement a brands’ native advertising strategies. In Custom Audience, you create a set of audience out of your existing customers. In addition, you can also target ads to the audience you’ve created on Facebook, Instagram, and Audience Network. To do so, you have to upload, copy and paste or import your hashed customer list, and then Facebook will use the hashed data from it to match the people on your list to the people on Facebook. Thus the advert is shown only to the set of audiences that the advertiser wants. This reduces the cost of advertising drastically and increases ROI and engagement. Facebook ads that include customer reviews blend in with other news feed stories and are better received by people browsing Facebook. This ensures a trust in the brand and thus an increase in sales can be expected. 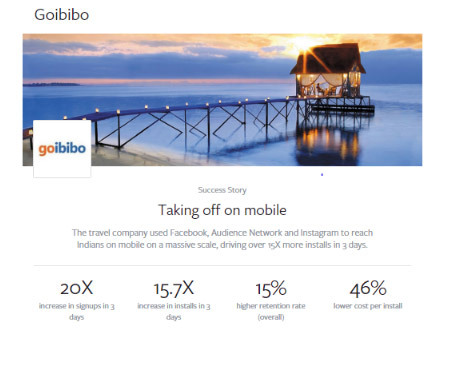 The combination of storytelling and visual content is what you get in Carousel Ads. 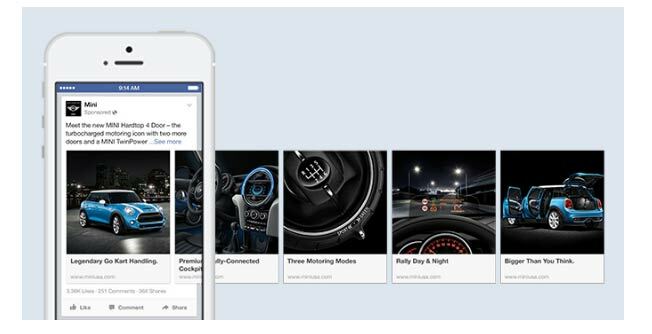 In this format, Facebook allows you to show up to 10 images or/and videos, headlines for each image and video, links and a Call to Action – all of this in a single ad unit. Facebook Carousel ads are a great way to highlight the uniqueness of your brand, showcase your creativity and to boost engagement metrics. 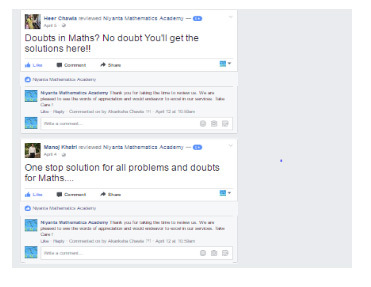 In this new feature, Facebook allows you to show ads to users who have left you a message in your Facebook page, within a time frame. The Cost per Acquisition (CPA) is almost 60-80% less when compared to a news feed ad. 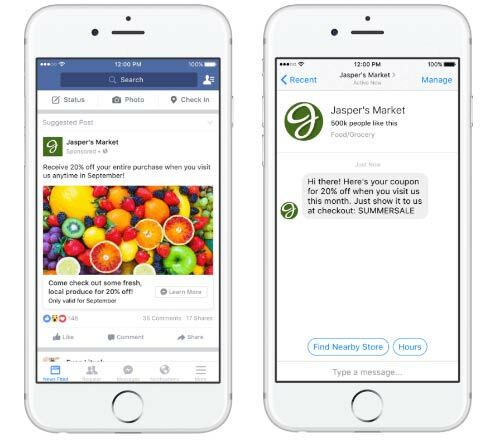 At present, Messenger Ads may not be as feasible as other ad units, as it can be sent only to users who have messaged your page. 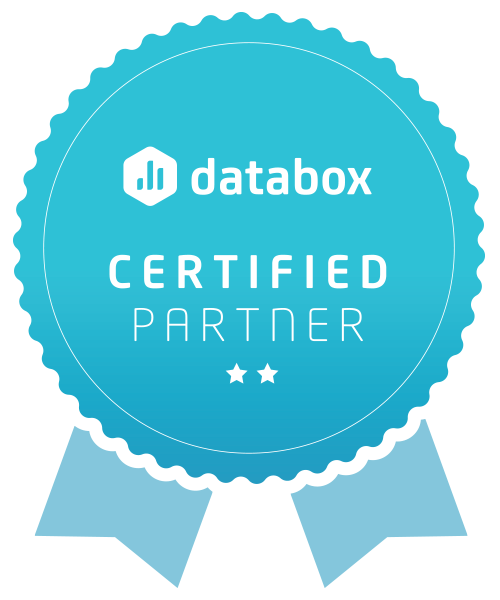 However, it is a great feature that you can try out and add to your marketing mix. Over 100 million hours of video are watched every day on Facebook. One of the best ways to grab attention of viewers – video ads that are inspirational, memorable or amusing can remind people of your product when they go out to buy a product. Video ads are relatively cheaper too, which means that you do not have to spend too much to get a lot of visibility. If you think that your audience will not be interested in long videos, consider using Facebook GIF ads for this purpose. They are short, engaging, but equally dynamic. 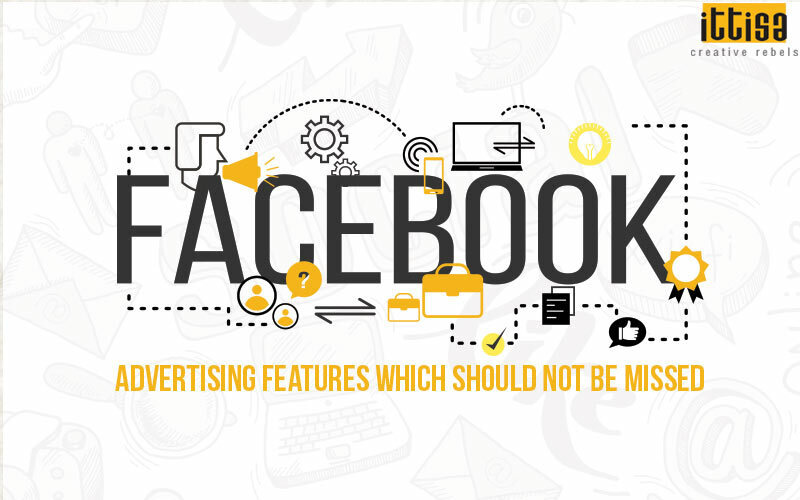 With new updates being introduced almost everyday, Facebook is making sure that all advertisers who use this medium succeed in what they wish to achieve. Ittisa has an efficient and dedicated team, to help you use these advertising features in a way that is best suited for your brand. Leave us a message and we’ll get back to you shortly.